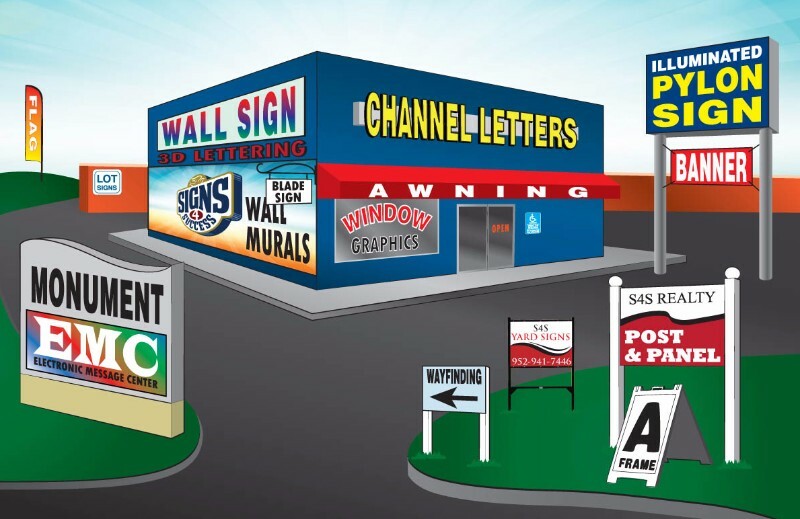 There are countless situational factors that impact your signage solutions. How high will the sign be displayed? Will it be subject to wind and sun damage? At what distance will it be viewed? How does light and shade impact your color choices? What will the city allow? These are just a few of the most common things to consider, but the list keeps going from there. Don't worry, you don't need to be an expert in these things- you've got Signs4Success in your corner! We take the unique approach of really getting to know our customers and the challenges their business faces. This could mean things like visibility concerns, competing signage from neighbors, or even budgetary issues. The best way to provide the best sign for your situation is through a professional on-site survey and analysis. When we visit a site, we take in to account your budget and try to look for ways to get the most impact for that money. Sometimes that means recommending a single well-designed sign and other times it could mean a combination of sign types to give your business the right visibility. We can suggest the appropriate type of sign, what materials would work best for you, and then give you our recommendations in terms of placement and design. When done right, a good sign installation can be a powerful tool which tells the world about you 24/7. Signage can be a lasting investment. Call us today to schedule an on-site survey and analysis, and we’ll help you get it right the first time.